Can we speak of a specific Hasidic response to the Holocaust? Examining both historical behavior, culture and theology, this lecture will consider how Hasidim dealt with the Holocaust during the event and how they have commemorated it afterward. 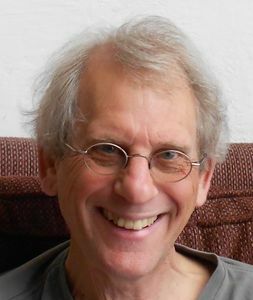 David Biale is Emanuel Ringelblum Distinguished Professor of Jewish History at the University of California, Davis. He is a former director of the GTU Center for Jewish Studies. He was educated at UC Berkeley, the Hebrew University and UCLA. His most recent books are Hasidism: A New History (with seven co-authors), Gershom Scholem: Master of the Kabbalah and Not in the Heavens: The Tradition of Jewish Secular Thought. Earlier books are Gershom Scholem: Kabbalah and Counter-History, Power and Powerlessness in Jewish History, Eros and the Jews and Blood and Belief: The Circulation of a Symbol Between Jews and Christians. He is also the editor of Cultures of the Jews: A New History and the Norton Anthology of World Religions: Judaism. His books have been translated into eight languages and have won the National Jewish Book Award three times. Professor Biale has served as chair of the Department of History at UC Davis and as Director of the Davis Humanities Institute. He also founded and directed the UC Davis Program in Jewish Studies. In 2011, he won the university’s highest award, the UC Davis Prize for Undergraduate Teaching and Scholarly Achievement. He also founded the Posen Society of Fellows, an international doctoral fellowship for students of modern Jewish history and culture. David Biale lives with his wife, Rachel, in Berkeley, California. He is a fanatical cyclist, avid student of piano and bread baker. His son, Noam, is an attorney in New York where he lives with his wife and two children. His daughter, Tali, lives in Oakland and is a teacher and chef.